At nearly every stage in the Photoshop workflow, graphic designers and photographers can experience delay. From launching the app to loading images, applying effects, rendering, saving, and outputting files to clients, waiting on your computer can be a normal part of the day – but it doesn’t have to be. If Photoshop is running slowly, upgrading your computer’s hard drive to a solid state drive and maxing out your memory, you can speed up every step in your workflow and spend less time staring at spinning cursors. 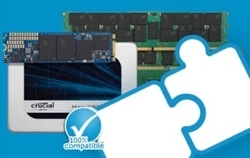 Read more about the benefits of an SSD. Everyday actions that rely on memory: Processing images, manipulating images (adding layers and effects), rendering, reverting files, running Photoshop and other applications. Learn more about memory. Why memory is so important: To run Photoshop (or any application), the program must be copied and held in the computer’s memory. In similar fashion, every image you’re working on must also be copied and held in memory. More memory means you can handle more images and programs at one time – and work on them in real time, not lag time. More memory also means you can save and revert files faster. Because most Photoshop files are extremely large, they consume a lot of memory. If the files consume more memory than is available, the files must be converted (“swapped”) into storage. Using an SSD helps with this, too, as data gets written faster into long-term storage. Why an SSD is so important: Your system’s storage drive is what loads and saves every image and document you’re working on. It’s also what loads Photoshop, and it’s what your system uses to manipulate images and render when you run out of memory (a common occurrence when multitasking). Switching from a hard drive to a solid state drive in Photoshop is like moving from dial-up Internet to broadband – it’s that big of a jump and the speed never lets up. That’s the power of an SSD, and it really kicks in if you frequently save incremental versions of a project. When you factor in ever-increasing resolution requirements, growing file sizes, and the need to save projects constantly in case clients change their mind, the ability to save and call up files quickly is a gift to yourself. It’s also a gift that keeps on giving because SSDs have no small moving parts, meaning they’re less prone to failure – and less prone to crashing and losing a client’s files. While it’s well known that more memory and faster storage speed up graphic design in general and slow-running Photoshop in particular, we wanted to put theory to the test and quantify the impact you might see. By testing four configurations of the same base system, we were able to isolate performance variables and assess how DRAM and SSDs impacted a typical graphic design project – creating a poster. Our design team took one of our finished files and created a script that delineated 72 steps that culminated in the finished poster. These steps were then turned into a script, which would allow us to remove the human element from poster assembly and look at pure component performance. Before running the script, however, we launched six other applications and left them running in the background because we’ve found that most designers are constantly multitasking between project elements, and we wanted to simulate a real-world design scenario as realistically as possible. 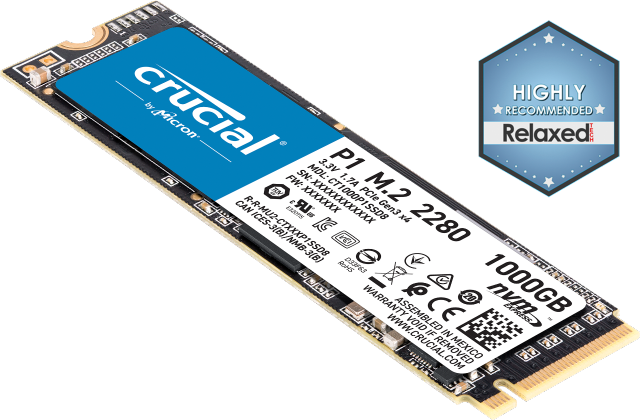 While the system we tested was an older model that was capable of installing only 16GB of memory, it provided a good baseline to assess the role memory and storage plays in completing a sample workflow. How we did the testing: With the exception of the 4GB hard drive system, each configuration was tested three times and the numbers reported above are averages. We tested the 4GB hard drive configuration only one time because it was the base system configuration and had an unusually low amount of memory for design work – the test was for representational purposes only. All tests began with a fresh boot so that other factors and applications didn’t affect reported results. Only the files and applications that were used for testing were installed and stored on the drives. Testing conducted in February 2016. All times are in minutes:seconds. The results speak for themselves, yet underestimate just how much of a speed gain you might see because our Photoshop test script involved manipulating images and applying effects that had already been pre-loaded and created. We asked Photoshop to assemble a poster by executing a series of pre-determined actions. In the real world, you’d have to load all of the images associated with your project and edit them, which consumes a lot more memory and hits your storage drive hard because it’s loading and saving every project component. Also, the system we tested was an older model, and your system is likely faster and capable of holding more memory. While we didn’t test beyond 16GB, we know from Adobe that more memory means you can do more before dipping into virtual memory. And because virtual memory takes such a massive toll on performance, we recommend as much memory as possible – typically 32GB – though the amount you install should match the intensity of your workload. No matter what type of computer you’re using or what your workload entails, more memory and a solid state drive are proven ways to help speed up your workflow – especially when it comes to multitasking. Most designers spend a lot of time multitasking between Photoshop and other applications. Usually, it’s a necessity. 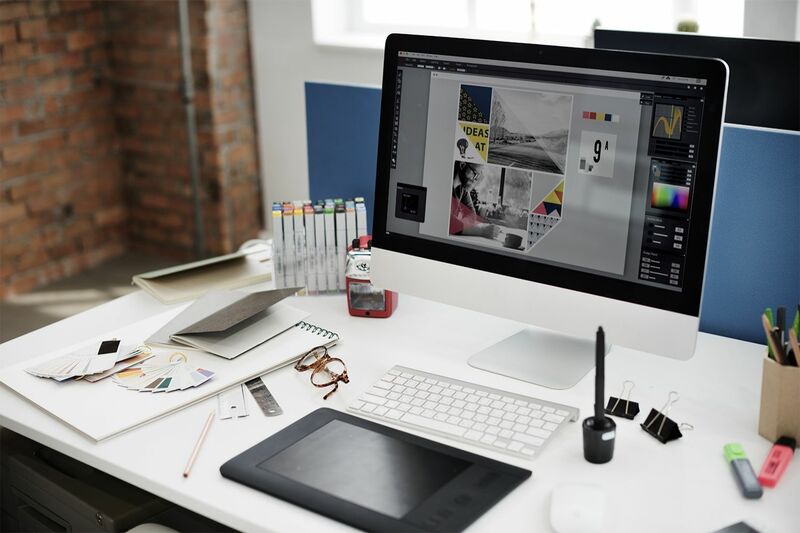 Most projects require referencing client emails, switching among multiple images, creating vector graphics in Illustrator, doing layouts in InDesign, researching ideas online, and streaming music to enhance your creativity. If you do even just a few of these activities at once, you’ll really benefit from maxing out your memory, because memory is used to run all your open applications. It’s what makes multitasking possible. Find out how much memory your computer should have. Keep in mind, though, that multitasking isn’t just about running multiple things at once. It’s also about getting into multiple things at once, and that’s why an SSD helps, too. Software might enable digital design, but it’s your computer’s hardware that determines the speed of design. Max out your hardware’s performance by ensuring that every upgradeable component is performing as fast as possible. It’s not enough to just use a fast CPU. You need enough memory to continuously feed every processing core – and lots of SSD storage to instantly load and save everything you do. How fast you’re able to work hangs in the balance. Are you waiting on your system, or is it waiting on you? ©2018 Micron Technology, Inc. All rights reserved. Information, products, and/or specifications are subject to change without notice. Neither Crucial nor Micron Technology, Inc. is responsible for omissions or errors in typography or photography. Micron, the Micron logo, Crucial, and the Crucial logo are trademarks or registered trademarks of Micron Technology, Inc. Adobe, Photoshop, Creative Cloud, Illustrator, InDesign, and Acrobat Reader are either registered trademarks or trademarks of Adobe, Inc. HP and Elitebook are either registered trademarks or trademarks of HP, Inc. Intel and Core are trademarks of Intel Corporation or its subsidiaries in the U.S. and/or other countries. Travelstar is a registered trademark of HGST, Inc. and its affiliates in the U.S. and/or other countries. Microsoft, Windows, Word, Excel, and Outlook are either registered trademarks or trademarks of Microsoft Corporation in the U.S. and/or other countries. All other trademarks and service marks are the property of their respective owners.